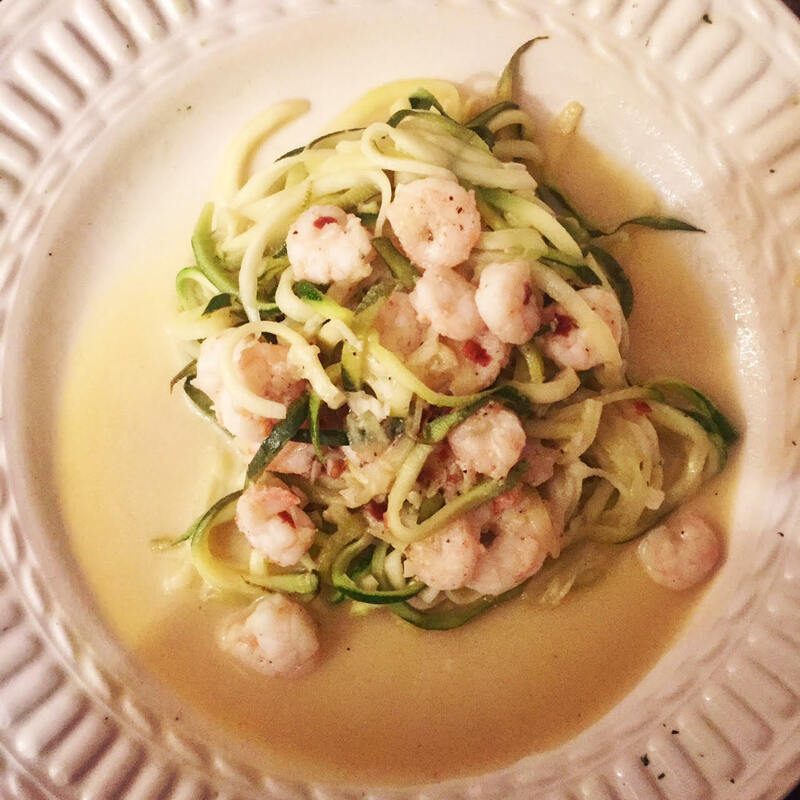 Shrimp Scampi Zoodles prepared by Me. Here we are, week three of 2017, and most likely our eat better resolutions are waning. Have we made it closer to our goals? ...mmm maybe? Do we feel better? or just Hangry? I for one felt gross once the Holidays wound down. It had been about six weeks of being on the go traveling both in the U.S. and overseas with complete disregard for balance. My body was yelling for kindness and I took note. Resolution #1 sub veggies for my go to carbs of rice and pasta. I had long heard about zoodles but thought that they weren't for me. They seemed like something super healthy people and non foodie lovers would eat.